The Spring ASL Class "Waiting List" has been closed. Thank you for your interest in this class! 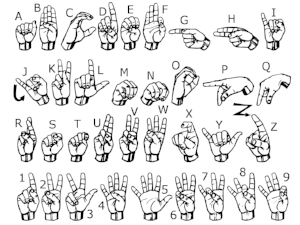 We are thrilled with the support and enthusiasm our community has to learn American Sign Language. Plans are in place to start another class in the Fall of 2018. Please follow us on Facebook to see the announcement for that class.